Pears are low in acid and therefore taste extra sweet, which is enhanced even more in the drying process. 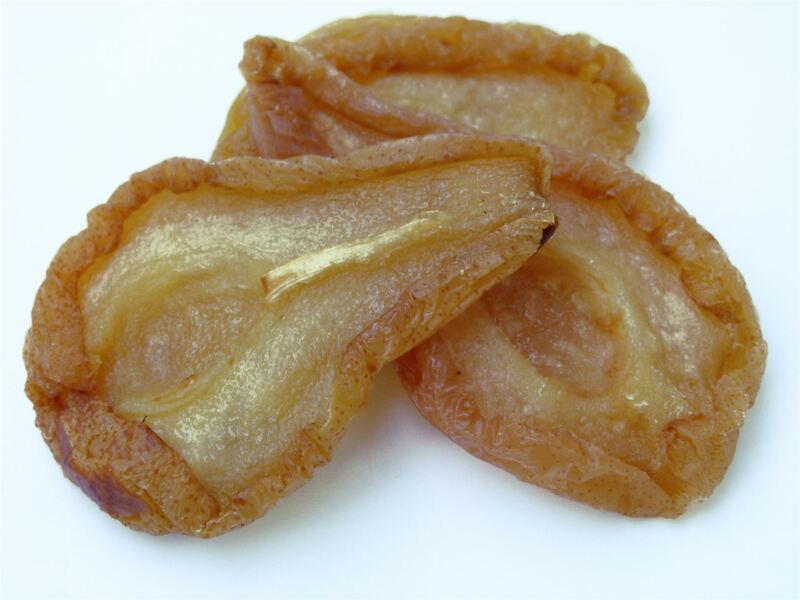 The fructose of the dried pears can develop its full flavour when chewing, making the pears a delicious and health snack between meals but also a popular ingredient for baking or cooking. Pears belong to the rose family and are at home in North Africa, Asia and Europe. The Babylonians cherished the pear as a holy tree, and still today the pear is a very popular fruit. A pear contains roughly as much sugar as an apple, but significantly less acid and therefore they are easier to digest for people who react sensitively to acidic food. At the same time, pears contain more mineral nutrients than apples, such as phosphorus, potassium, and iron. And pears contain a lot of vitamin B2.